All Saints encourages our families and friends to save the labels from the products of the Campbell Soup Company and from General Mills. Both companies have a redemption program where their coupons may be redeemed for cash or school materials and supplies. 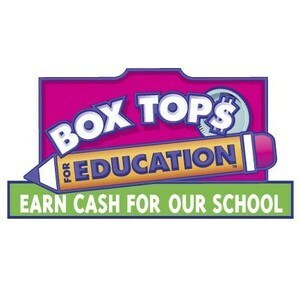 Box Tops for Education make it easy to help our school earn the extra cash. Each Box Top has a value of 10 cents, it is amazing how much we can earn with this labels. Just a few Brands where you can find Box Tops are: Cheerios, Betty Crocker, Kleenex, Juicy Juice, Pillsbury, Ziploc and many more. You can also support All Saints by shopping online so please register online at: www.boxtops4education.com. Labels for Education have been awarding free educational equipment to schools in exchange for proofs of purchase from the Campbell family of brands. Help our school get FREE stuff! Clip only the UPC code, not the entire label. Labels are worth 1 point or 5 points. Brands to look for Labels of Education are: Campbell’s, Pepperidge Farm, Swanson, V8® Beverages, Prego® Italian Sauces and more. Their website is www.labelsforeducation.com. Send your labels and box tops in to your child's homeroom teacher, mail them to the school, or drop them off in the main office on or before one of the collection dates below. Together with your help, we can earn free money that directly benefits our school. If you have any questions, please feel free to contact one of the coordinators below. Thank you for your support! PLEASE BE SURE TO LABEL YOUR BOX TOP BAGS SO YOUR STUDENT AND THE CLASS GET THE CREDIT! Fill the sheet below with Tops and you will be entered into a drawing to win a $50.00 Visa gift card! THE MORE SHEETS YOU FILL…THE MORE CHANCES TO WIN! Drawing will be on Monday, October 1.